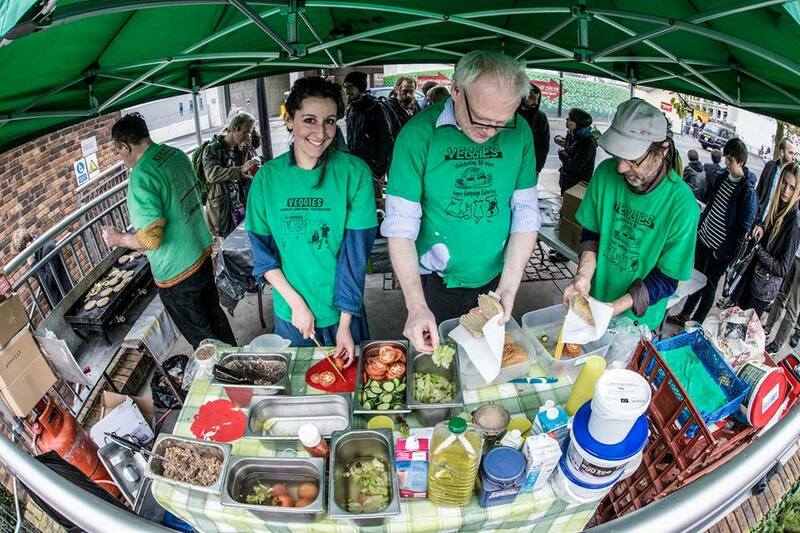 Veggies award winning mixes are handmade in vegan premises by a co-operative with over 30yrs experience of vegan campaign catering! 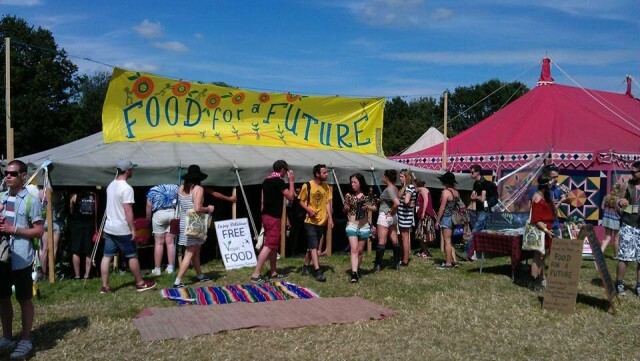 We reckon it would be hard to find a more ethical product! Our ‘No-Gluten-Ingredients’ Mix is now available (though made in premises handling gluten ingredients). We make our burger & sosage mixes ourselves in our own kitchen from organic ingredients, and use it to cater at many events all over the UK. 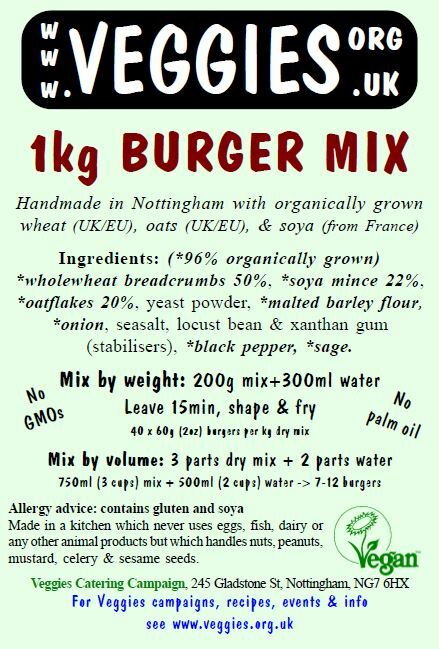 With our mixes you can make the same burgers as us, happy in the knowledge that they are currently rated as the Best Buy in the “Ethical shopping guide to vegetarian and vegan burgers & sausages” by the Ethical Consumer Research Organisation, the UK’s leading alternative consumer organisation, researching and recording the social and environmental records of companies since 1989. Other caterers are invited to contact us to discuss using our products. 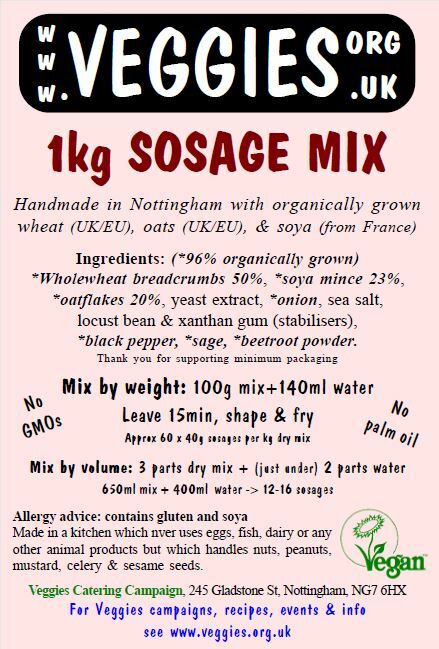 As you would probably expect our mixes contain no palm oil or saturated fats. 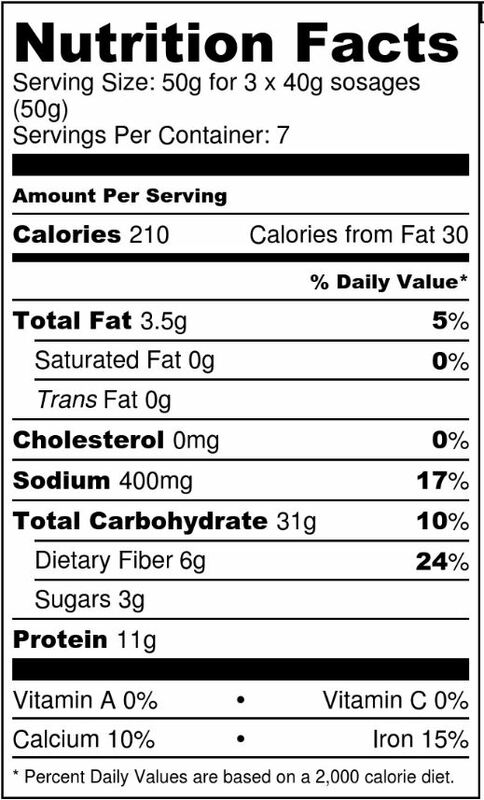 In fact they have no oil or fats in them at all. See this Fairfoods blog about reducing palm oil in other products. The ingredients are organically grown, mainly wholewheat crumb, oats, soya tvp, onion, garlic, yeast extract, seasalt, malt flour or beetroot, locust bean & xanthan gum. Our suppliers advise us that the wheat is “usually from the UK, sometimes from Finland or Sweden”. The oats are supplied from Cheshire & sourced from UK or the EU, and the soya is certified as coming from France. Dark malt is supplied from Essex-based EDME, from grain grown in East Anglia. The product has a long shelf life, up to 12 months, and can be held in stock at ambient temperatures. The mixes contain soya & gluten, from wheat breadcrumb, oats & barley malt. 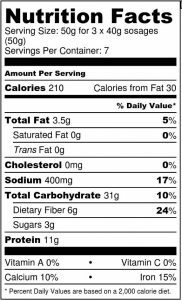 We have a ‘No-Gluten-Ingredients’ mix, without gluten ingredients (though made in our kitchen that handles gluten ingredients, so may not be suitable for strict celiac diets.). 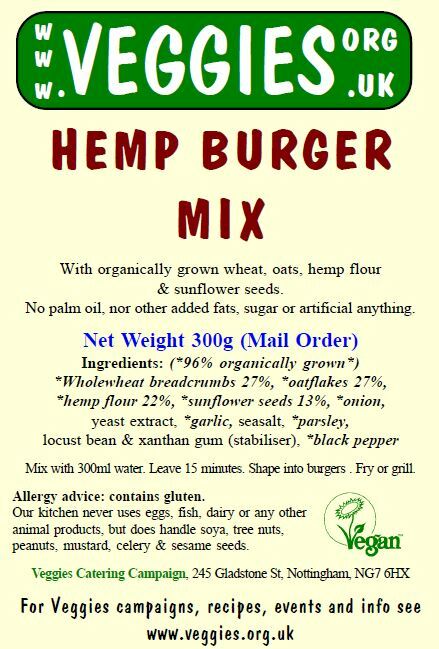 Ingredients: Maize (Corn) flour, hemp flour, rice flour, gluten free oats, Soya mince (France), millet flakes, buckwheat flour, quinoa flakes (UK), onion, yeast extract, sea salt, garlic, parsley, guar gum (stabiliser), black pepper. The following are prices directly from us in person from our Nottingham Sumac Centre base, at our many events (contact us) or recommended retail prices at shops that we supply. For mail order see further below. For details of bulk supply to cafes, caterers & wholefood stores contact us. 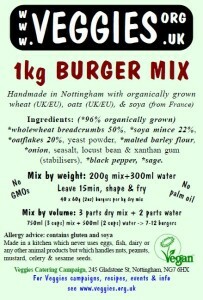 1kg Veggies Burger Mix makes 20-40 burgers (2.5kg). You can also use Veggies Burger mix in place of mince in many recipes, including Cottage Pie, Moussaka, Pasta and Tomato topping, Savory Mince, Shepherds Pie and Spaghetti Bolognaise. Overseas? Please contact us first about delivery costs if ordering outside the UK. We also supply bulk mixes to cafes, caterers & wholefood stores, for example 20kg batches by courier. For details contact us. 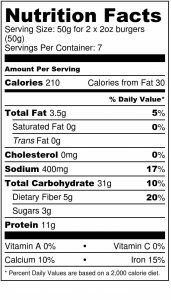 Contains No Gluten Ingredients, but is carefully made in a kitchen that also handles gluten ingredients, so may not be suitable for strict celiac diets. No Paypal? The payment system also accepts credit/debit cards, or post your order to Veggies, 245 Gladstone Street, Nottingham, NG7 6HX (payment with stamps or secure cash is welcome). 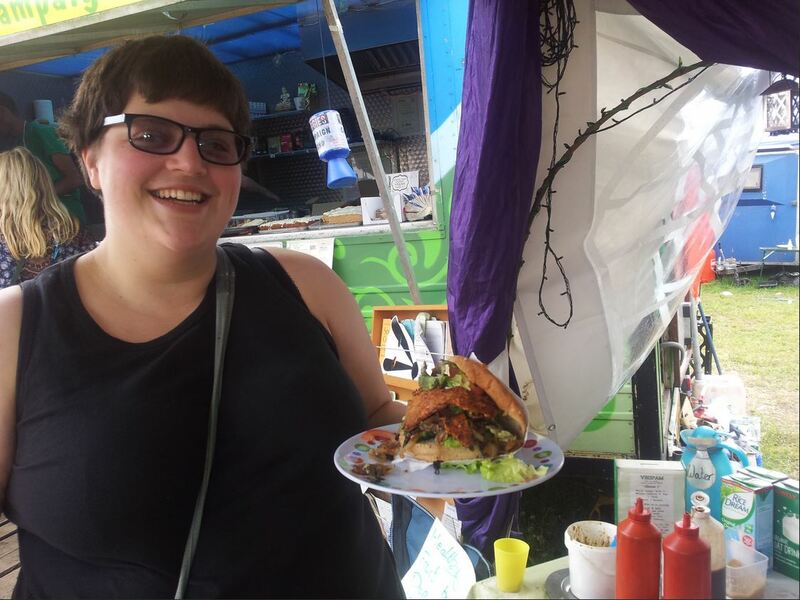 Due to catering commitments we process orders once a week, usually on Thursdays. Allow extra time for delivery during the Summer when we may be at events away from our Nottingham base. Or contact us to discuss delivery times. 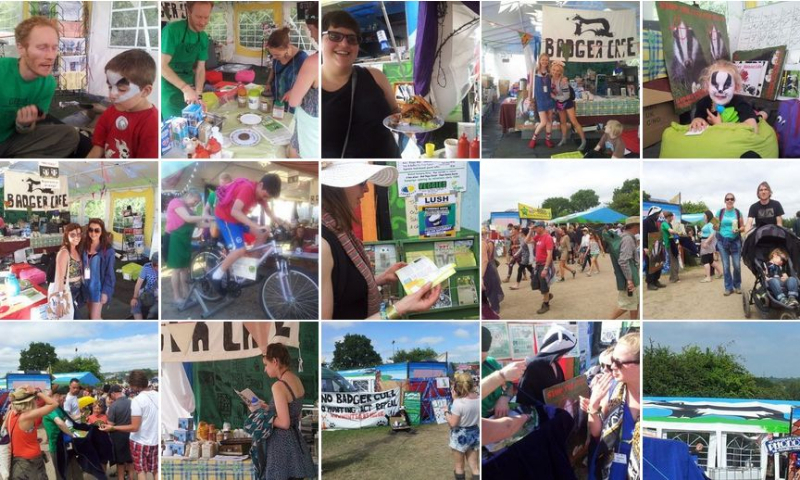 Or arrange collection at one of the many events on Veggies Diary. Veggies mixes are also available from retails outlets in South Yorkshire and the Midlands via Lembas Wholefoods and by mail order by Alternative Stores. Veggies Mixes are handmade from organically grown ingredients and contain no palm oil. Organic Soya TVP mince costs £6.21 per kg wholesale, whilst non-organic tvp, used in many other burger mixes, costs £1.41 for a kg, and may be coloured with caramel. Please compare like with like if checking prices elsewhere! 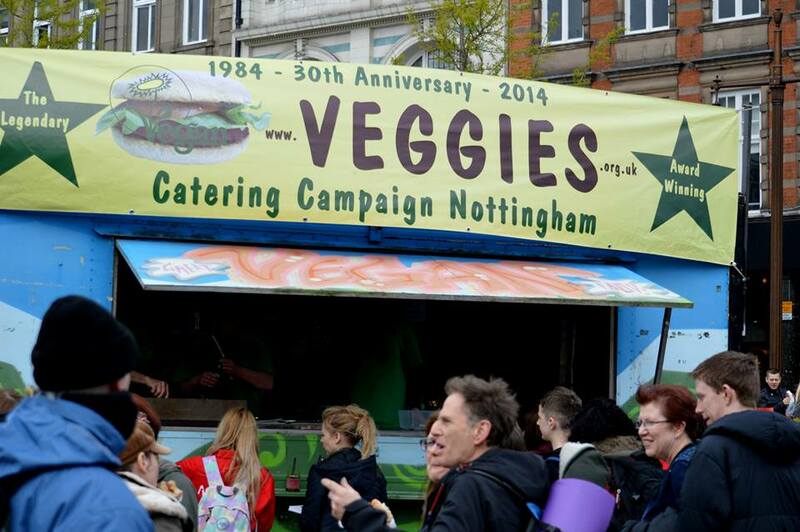 Read (and post) more reviews on Twitter @VeggiesNottm. 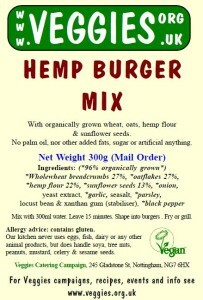 Our Burger Mixes are suitable for far more than just burgers! More recipe ideas can also be found in our own Veggies Scoffer recipe book! Calculate the cost and weight of your order. 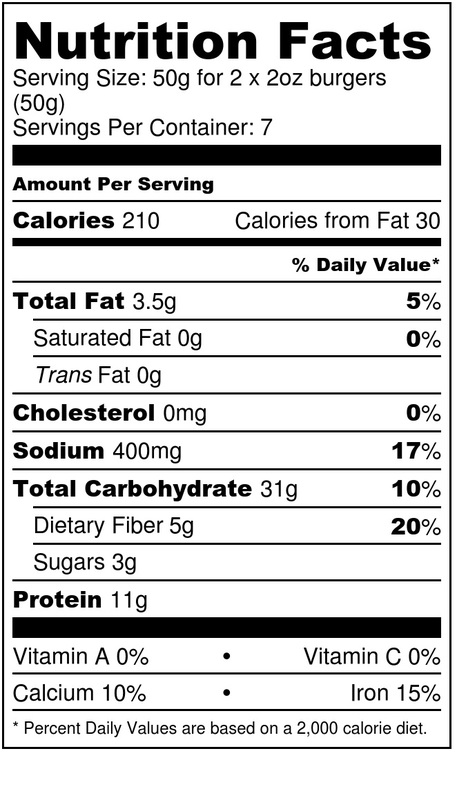 Add 10% to the weight for packaging. We can pack any quantity to best match parcel postage rates. We may adjust quantities of product supplied to accommodate any shortfall on postage contributions. Click button to add to cart and adjust quantity to show value of your order. Contact us to confirm your order. Pay by Paypal (accepts credit/debit cards) or send a cheque or secure cash to Veggies, 245 Gladstone Street, Nottingham NG7 6HX. Worker’s co-op running a wholefood shop with noticeboards, newsletter, and meeting room for positive social change, Derby city centre. 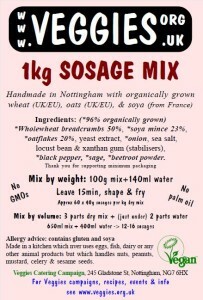 Veggies sosmix and burgermix stocked, amongst many organic, fair trade, local, ethical and eco-products… also do home delivery. Unicorn Grocery offers a wide range of fresh and wholesome food to its South Manchester customer base. Ethical principles remain at the core of the business, with the focus always on local, organic, fairly traded and wholesome goods, including Sosage Mix from Veggies..
An independent wholefood grocery shop in Southampton, stocking a huge range of ethical, fairly traded and organic goods at affordable prices, including Veggies Mixes. Distribution throughout Sheffield and the Midlands by Lembas Wholefoods and by mail order by Alternative Stores. At 612 miles the delivery to Eday, Orkney beats the previous record of 572 miles to Isle of Lewis, Outer Hebrides – it is great how far people will go for a VeggiesBurger, and sending the d-i-y mix rather than our catering trailer has to be more eco-friendly! 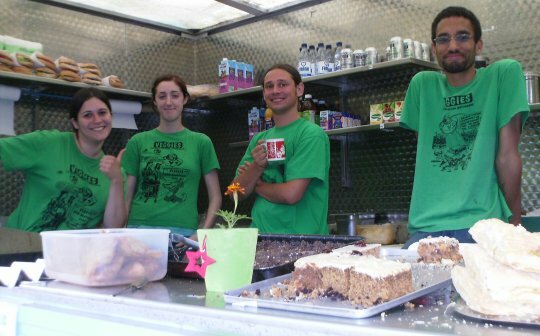 “With an island population of approximately 130 people we are not an excusively vegan cafe, however we are extremely vegan friendly! 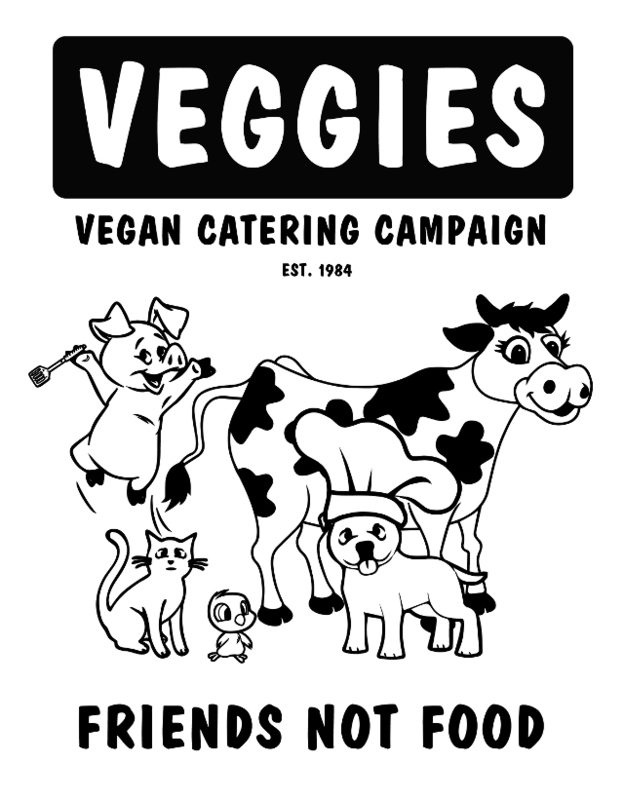 Many of the products I make for the bakery are vegan so we are gradually educating people to how tasty it can be – veggies burgers are going to go along way to helping that cause! The cafe is in a community owned building, powered by a 6kw turbine and the island is where the first tidal energy comes ashore, so exciting things are happening here! 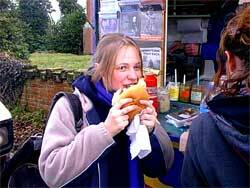 See also our Ethical Burgers & Sosages page.